If you are a classroom teacher, then you know that there is something about videos that engages students in a way that print or audio can not. 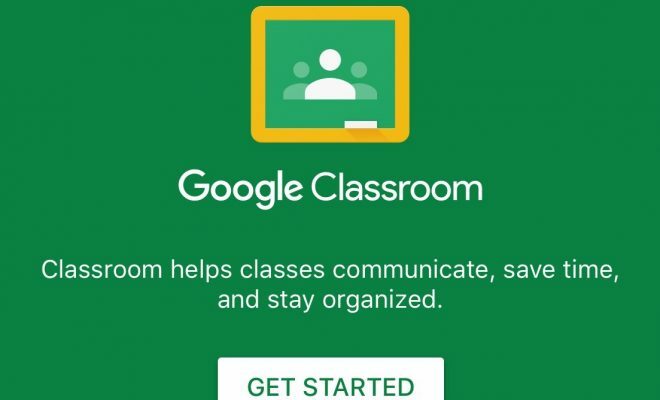 In this article we will discuss how you can use Google Classroom and videos to boost your students academic achievement. Closed Captioning – Create screencast videos and embed into Google Slides. The Slides closed caption feature works by accessing the microphone to turn your voice into text. Curate Video and Images During a Presentation – Students or teachers can curate important videos and images from a Classroom presentation using Docs, Slides, or Sheets. Digital Storytelling – There are several video editing and digital storytelling platforms that integrate with Classroom. Students can share finished products with the click of a button. Introduction Video for Parents/Students – Create and upload a video to introduce yourself to parents and students. Press Conferences – Have collaborative groups research a given topic. Peers act as the audience and raise questions as if they were participating in a press conference. Have students record a video and submit to Classroom. Remember, that you must create each collaborative group in Google Classroom. Rapping for Review – Have students collaborate in groups to write rap songs to express their knowledge and thoughts about the content they have learned. The group then sings and records a video of their rap and uploads to Classroom. First-Person Experiences – Have students take on the identities of people actively involved in an event or era they have chosen to research, and create a monologue which can be recorded as a video and uploaded to Classroom. Embed Rich Media – Upload videos, images, or audio directly into Classroom. Lyric Summaries – Have students, in small groups, list what they think is the most important information they have learned. Each group uses their list to write a summary which becomes the new lyrics to a song the group has chosen. The group then sings and records a video or MP3 of their Lyric Summary, and uploads to the Classroom. Reader’s Theater – Have students record a video of an oral presentation or dramatization of text and submit it to Classroom. Screencast Videos/Presentations – Use third-party apps or extensions to create screencasts of your lessons to post in Classroom. Student Introductions – Allow students to create a video or presentation with Google Slides to introduce themselves to classmates. Tutorial Videos – Create tutorial videos for students or teachers. Video Books – Create video books for students and upload to Classroom. Video books are lessons which are chunked into 5-20 minute increments for easy digestion. Video Directions – Create video directions for assignments to assist students who are more auditory learners. Video Lessons for Absent Students – Video your face-to-face lesson and upload it to Classroom for students who were absent. Video Reflections – Have students create video reflections on lessons and upload them to Classroom. Video Tutoring – Create tutorial videos for faculty or students and upload to Classroom. Alternately, have students create how-to-videos to accompany a speech. YouTube Videos – Have students create content-specific YouTube channels or videos for lessons and upload them to Classroom. Can you think of any additional ways that teachers can use videos and Classroom to boost your students academic achievement?